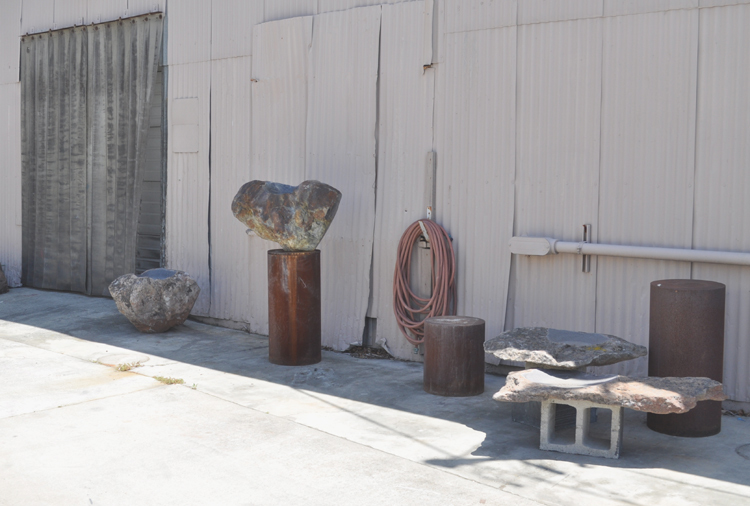 An interview with Ken Matsumoto, sculptor and director of Art Object Gallery. I’m not sure that one could call what I do a “job”. Essentially, I spend my days either making things or tending to the gallery business be it talking with artists, hanging shows, or doing PR. That’s probably the job part of what I do…tending to gallery business. That’s not to say that I don’t gather satisfaction from it, it can be seen as just another “thing” I’m making. In that sense it has been sort of a long term project as the entire space is constantly changing from one year to the next not according to any plan or strategy. It’s more like something appeals to me or makes some “sense” and I’ll do what I can to make it happen. Born and raised Catholic in Oxnard, California. Third of seven kids all parochial grammer schooled. The nuns were very civilized women in that they appreciated the arts be it music, dance, visual arts, etc. It was always a part of our school day. They encouraged me and I enjoyed the attention that my creations received. This continued to my freshman year of high school. The rest of my high school years were at a public high school. Instead of art, I took drafting classes and learned the language and the tools of mechanical drawing (very important for communicating with engineers, fabricators, etc.). I was drafted into the army (also very important) and because of my work experience was given the title of illustrator for the psychological operations group of the special warfare division in North Carolina. I lived with people from all walks of life from coal miners, drug peddlers from the ghettos of Chicago, to linguists, artists, photographers, most with advanced degrees. I learned that I had a lot to learn and using the GI bill benefits I attended college after my stint was over. SBCC and SJSU in 1983 MFA. Initially it was a sense of space. The vistas of Augerbury Point in Death Valley, looking across the granite peaks of the Sierras. I was looking to replicate that sort of feeling. Well, that’s sort of impossible so I looked to capture something of the process that marked the earth. Eroded the surface, made visual the passage of time. I came to see the manmade marks as being erosion as well and that led me to the idea that man is a part of nature. So that means whatever mankind does is as much a part of the natural order. + How did Art Object Gallery come about? I moved into my current space in 1996. I immediately set about converting the dirty dark warehouse into a couple of studio spaces. In order to afford the space I had to develop a space to sublet. I created a 900 sq ft space to rent and took the rest of the indoor space, approximately 3500 sq ft, for myself. 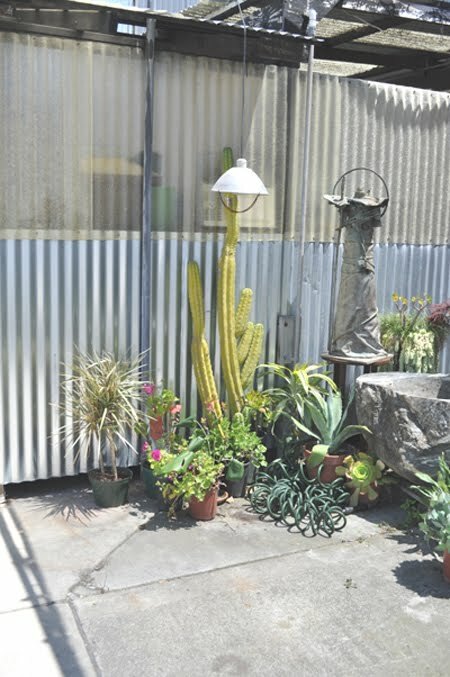 This was a generous amount of space especially since much of my work takes place outdoors. I decided to further develop in 2000 and opened the ArtObjectGallery in April 2000. Was warmly received to say the least. The first show I combined the mailing lists of three other artists and we drew an incredible crowd. Just finished The Poisonwood Bible by Barbara Kingsolver (amazing beautiful prose) and now King Leopold’s Ghost. History of the Colonial Rule in the Congo. NY times Sunday paper. Best, simply the best. + What are your future aspirations for Art, Object Gallery? To see it go on after I leave in ten years or so. Salad (with beets, gorgonzola, nuts, arugula, romaine,) salmon sashimi, uni, age dashi with large bonita flakes, and pho. Satellite real jazz, Frank Sinatra, and Copland. Art Object Gallery will be presenting an opening reception for 3 Painters on Saturday, May 12th from 7-9 PM.